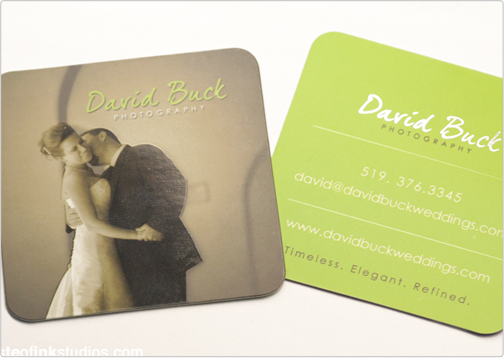 This square business card was designed for a photography company by the name of David Buck. His brand contains a clean and minimalist style, characterized by open space. 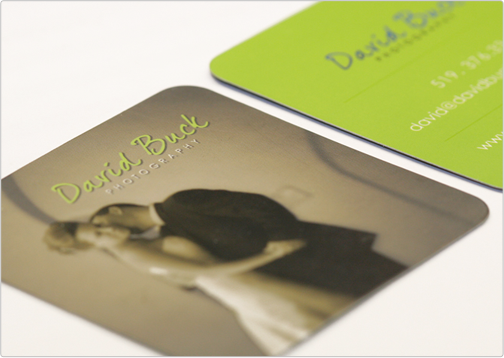 This card features a photograph by David Buck with only his logo above it. 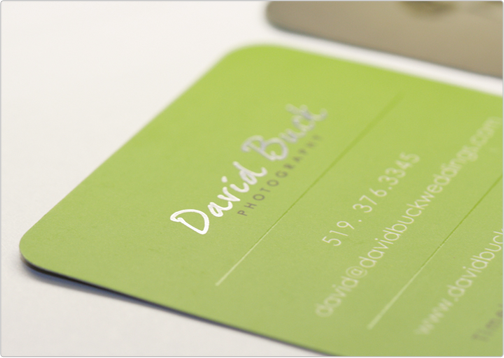 Spot gloss is used to highlight the words on the back of the business card.